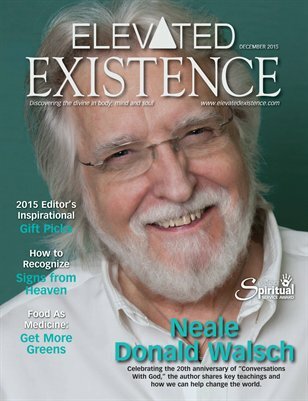 An exclusive interview with "Conversations With God" author Neale Donald Walsch, who Elevated Existence presented with its 2015 Spiritual Service Award. He shares his teachings on oneness, creation and our role in this physical world. Also in this issue: Recognize Signs From Heaven by James Van Praagh Food as Medicine: How to Get More Greens Managing Stress & Anxiety Naturally And More!